Fulham Football Club is a professional football club based in Fulham, London. Founded in 1879, they are one of England’s oldest established professional football teams. Fulham FC are located at their waterfront stadium; Craven Cottage which has been their home since 1896 and has a seated capacity of 25,700. 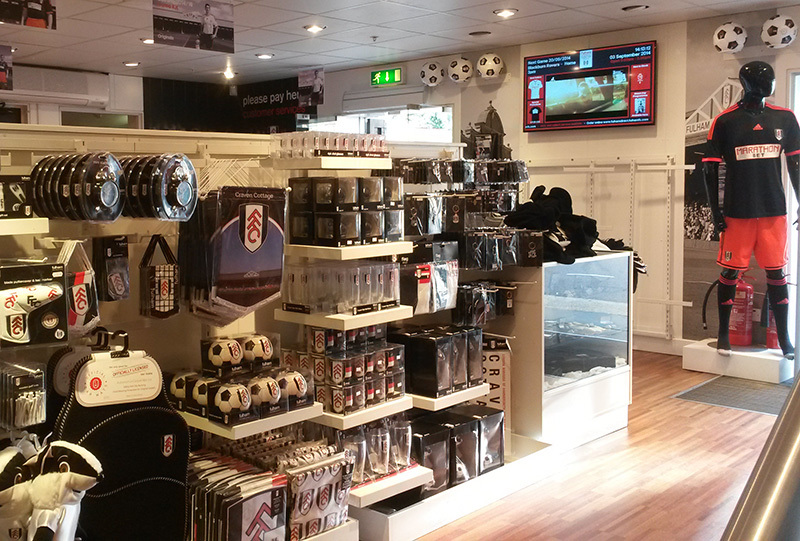 Fulham FC wanted to improve the retail shop experience for their customers and needed a new, more efficient way to communicate in store offers, match day line ups, forthcoming fixtures and wanted to incorporate live TV feeds including live match day feeds. They required a system that could be updated quickly and provide the flexibility to change entire content at specific time and date periods. Eclipse Digital Media provided Fulham FC with a ONELAN digital signage system that has the ability to capture external HDMI sources. 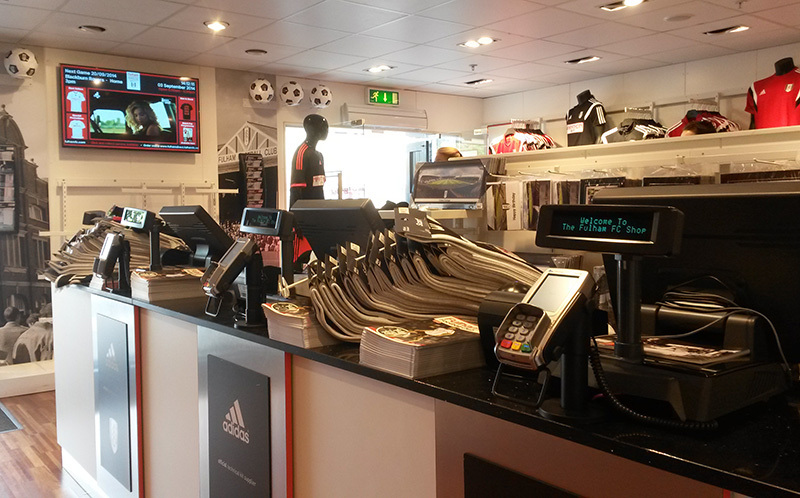 This system, provides Fulham FC the ability to edit and change retail store offers in a few clicks as well as the ability to delivery match day information, squad updates, up coming fixtures and crucially live TV feeds including their own match day feed. 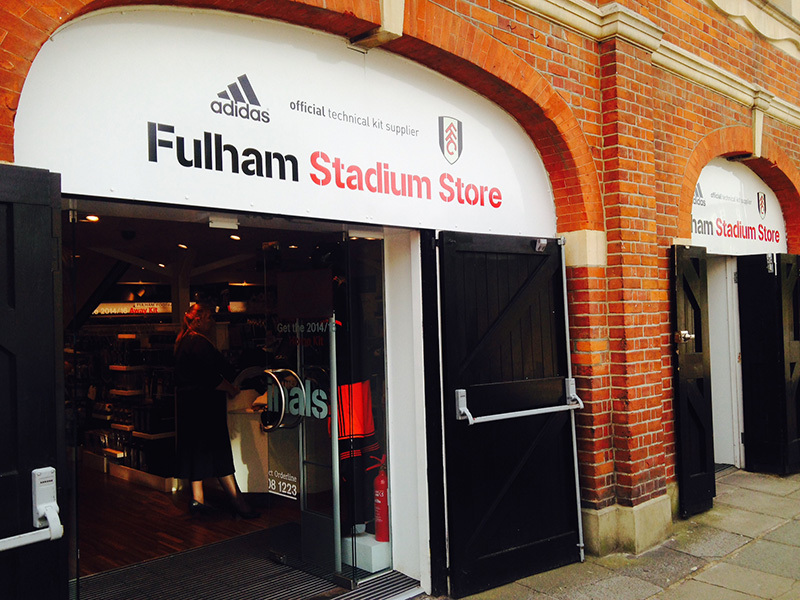 Eclipse Digital provided the whole digital signage solution for Fulham FC, including a period of consultation to specify the suitable hardware for the project, designing the initial on screen templates, configuring and installing on site and provided training to key digital signage content managers.